Yet another ex-X-Factor finalist will be releasing his debut album during the summer - nothing particularly unusual about that, you may ponder. 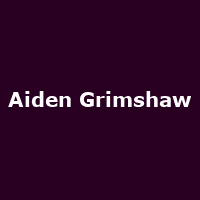 But it's taken Aiden Grimshaw the best part of two years to get around to finally compiling songs for 'Misty Eye', not least because the singer refused to carry his Cowell-endorsed past around with him or listen to any other music during his time writing songs. An admirable place from which to start from, although he didn't waste any time employing acclaimed songwriter and producer Jarrad Rogers (Lana del Rey, Pixie Lott etc). The album is due out in August, although you can grab a snippet from 'Misty Eye' in the shape of first single 'Is This Love?'. It remains to be seen whether Grimshaw will join the underachieving ranks of Journey South, Eoghan Quigg and Leon Jackson, or if the young singer can emulate a modicum of success a la Alexandra Burke, Leona Lewis and Olly Murs. The single clawed its way into the Top 40 so the jury's out, but its mix of balladeering and drum 'n' bass-lite is certainly a progression away from the usual 'winning formula' of histrionics and cover versions. The true litmus test will be Aiden Grimshaw's first headlining UK tour which has just been announced to follow-up the album. The choice of venues suggests that the singer may be trying to eschew his X-Factor background, with trad-rock venues Northampton's Roadmenders, Nottingham's Rescue Rooms and Glasgow's King Tuts in amongst the schedule. With Grimshaw's recent choices of listening ranging from indie, punk and, er, Moby, who knows what he might turn up with on the night. The tour starts in Bristol on 19th September, followed by the above towns and cities, plus Manchester, Oxford and more until London's Scala on 2nd October. We will have tickets for all shows from Friday 15th June, with prices starting from £11.50.